My True and Ultimate Function is to instigate the superphysics of literal and Most Perfect God-Realization among My true devotees. If there is no duplication of that superphysical Process, there can be no true Continuation of My Blessing Work [beyond My human lifetime], except in verbal form, because there can be no Living Agency. . . . I have no karma to fulfill. My only Purpose, out of Sympathy for you all, is to stay here long enough to Do what I have come to do, which is to create this immense Mandala of [Spiritual] Transmission for the sake of those who live now and those who live in the future. If you are a person of wealth or influence, we invite you to serve Avatar Adi Da's world-Blessing Work through your unique philanthropic and/or communicative abilities. 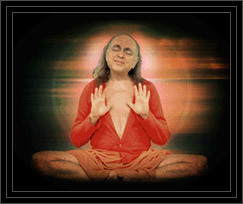 Truly, patronage of the Divine World-Teacher, Adi Da Samraj, exceeds all other possible forms of philanthropy. As a member of the third congregation of Adidam, supporting the world-Work of Adi Da, you are literally helping to change the destiny of countless people. You are making it possible for His Divine Influence to reach people who might otherwise never come to know of Him. You are allowing Him the fullest use of His own physical Lifetime. To make the choice to serve Adi Da Samraj via your patronage or unique influence is to transform your own life and destiny, and the life and destiny of all mankind, in the most Spiritually auspicious way. Your communication with us will be treated with utmost confidentiality.